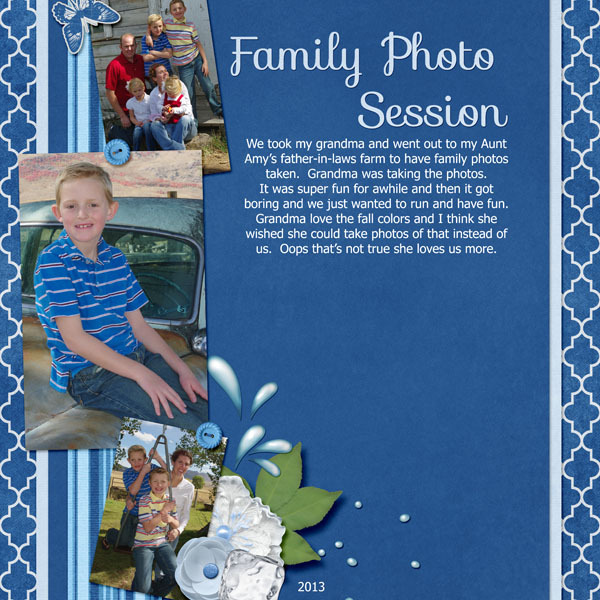 Each page is linked so be sure to leave these great layouts some love! Happy Tuesday! Hope the temperatures are treating you well in the last week of summer! 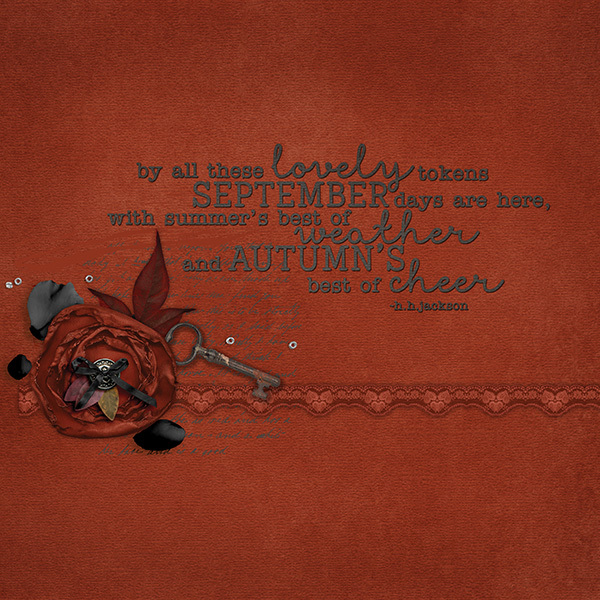 Fall is upon us next week! This week’s challenge is perfect to help us get ready for fall! 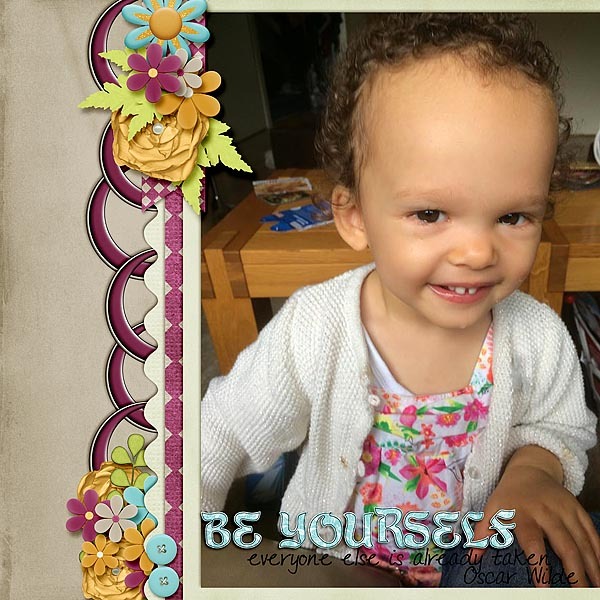 This week’s spotlight is on the Word Art Challenge hosted by Nat of Ponytails Designs. 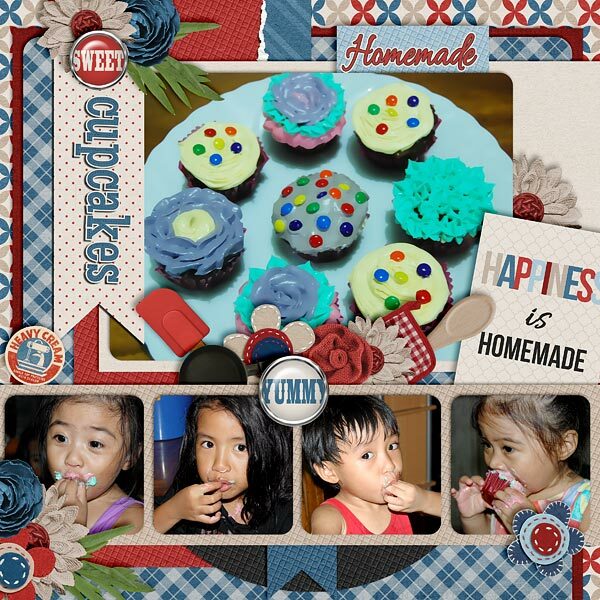 She created a great word art for everyone to grab and use in their page! There’s 2 weeks left to get your challenge LO’s done for this month’s awesome collab! This is an extra special Mini Kit Challenge this month! 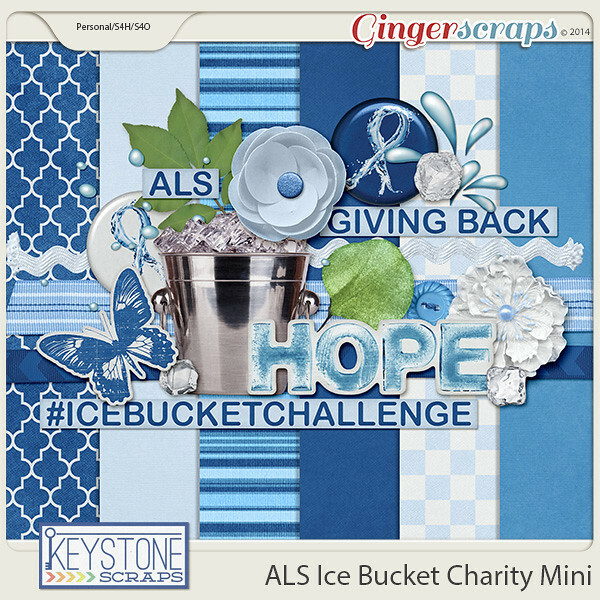 Paula from Keystone Scraps made a special mini kit about the Ice Bucket Challenge. 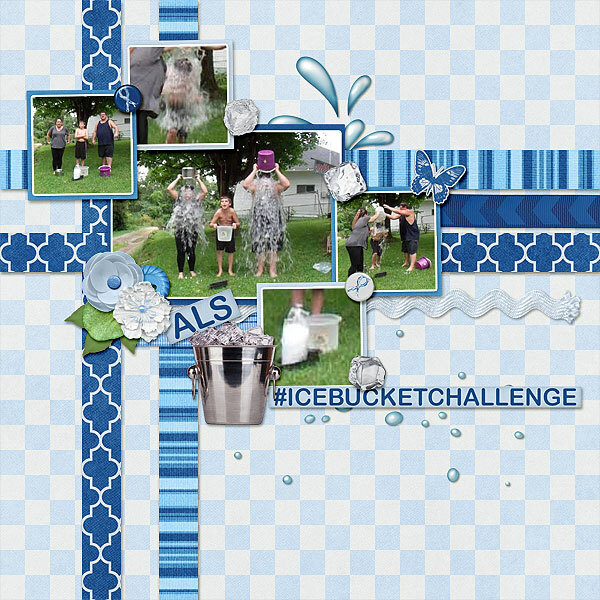 Not only will your layout count towards your 10 challenge layouts, Paula will donate $1.00 for every layout posted in the thread. If you didn’t throw a bucket of ice water on your head, then scrap a great layout using the mini anyway and post it in the thread. You will be scrapping for a cause! You can also buy the mini (instead of just downloading for free) and all sales will go to ALS research. Remember, if you didn’t do the ice bucket challenge, no worries! The blues in the kit work well for lots of pages! Here are a few submissions posted. Some are about the ice bucket challenge and some are off topic. Remember any layout you make with this kit and post in the thread, Paula will donate $1!!! Even if you don’t complete all 10 challenges (which you totally should! did you see the collab you get this month???) 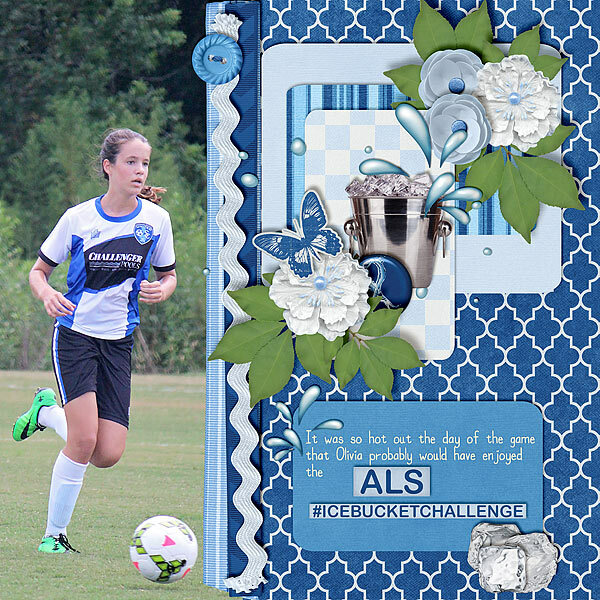 Complete a layout for this challenge and post it to the thread to scrap for a cause! Don’t forget to start you tracking thread to update when you complete a challenge layout! The first of the month always means a brand new buffet too! 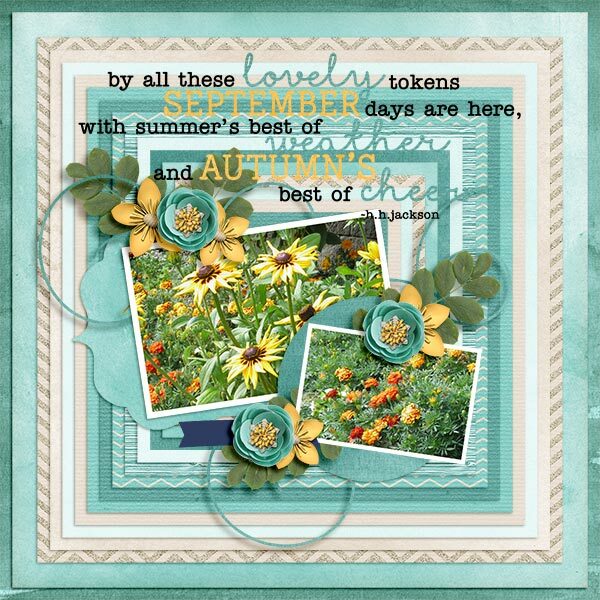 I am always eager to see what the fabulous designers come up with every month and I love seeing what people make with the kits. The best way to show off your LO is to submit it to the Buffet Challenge! This challenge is a great one to complete first especially since all Buffet kits are 50% off until September 5th! Lets take a look at some of the submissions. Each image is linked to the gallery if you would like to leave the layouts some love! There are always way too many good ones to showcase so go and browse the thread to see all the awesomeness! Happy last Tuesday of August! There’s only 5 more days to get those challenge layouts done for August’s collab! 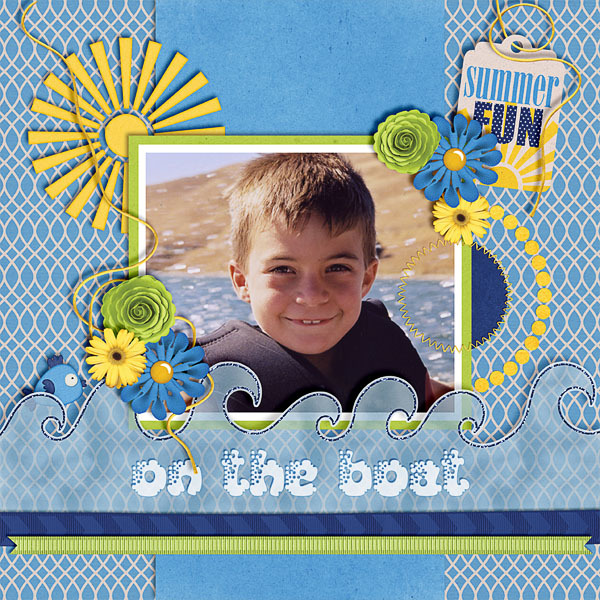 And today’s challenge I am spotlighting is the Template Challenge! There’s two a month! 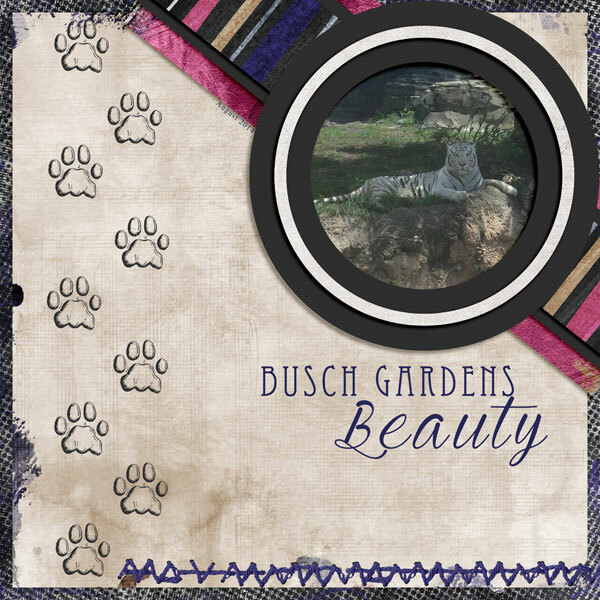 This template challenge was posted on the 16th and is hosted by Melissa of Lissykay Designs! Not only do you get a free template to play with, it counts towards your 10 challenges! 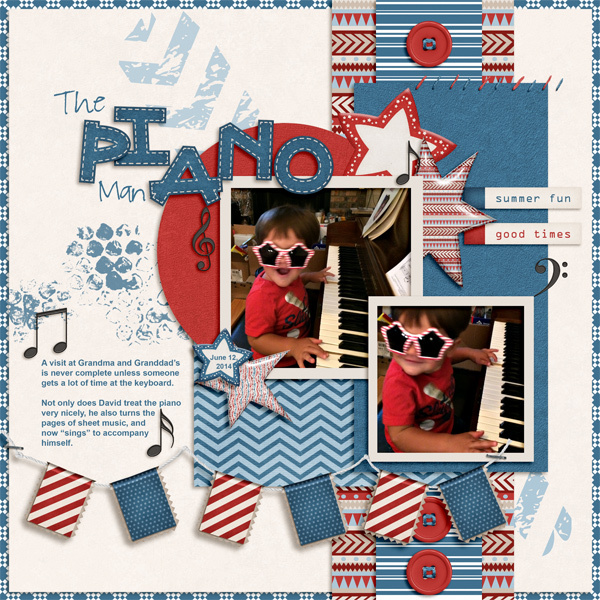 Melissa made an awesome template for you to grab and create a fabulous layout with! Everyone can put their own spin on the template, I love that even though everyone uses the same template to start, the results are so different and unique! Let’s take a look at a few of the submissions so far! 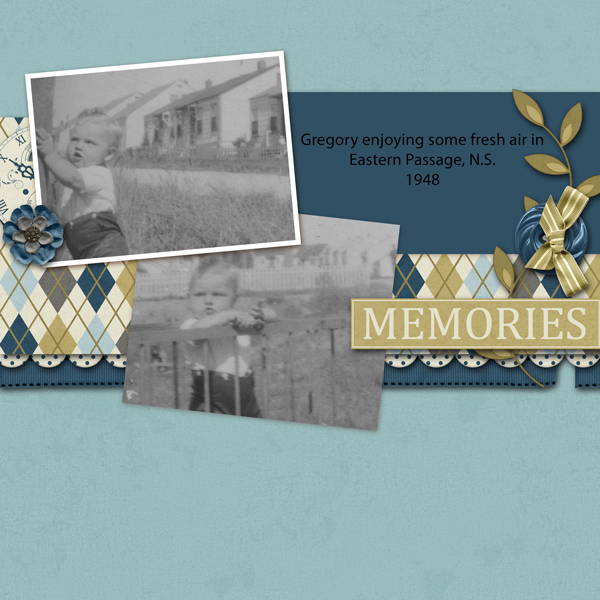 LissaMac shifted the ribbon and the frame to the side, opening up more white space. 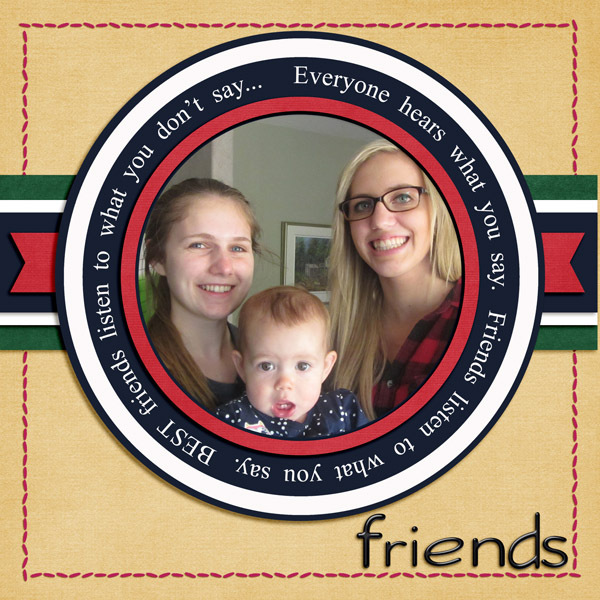 Natalie C moved the ribbon down, switched out the circle for a square photo and then added another photo to the background! 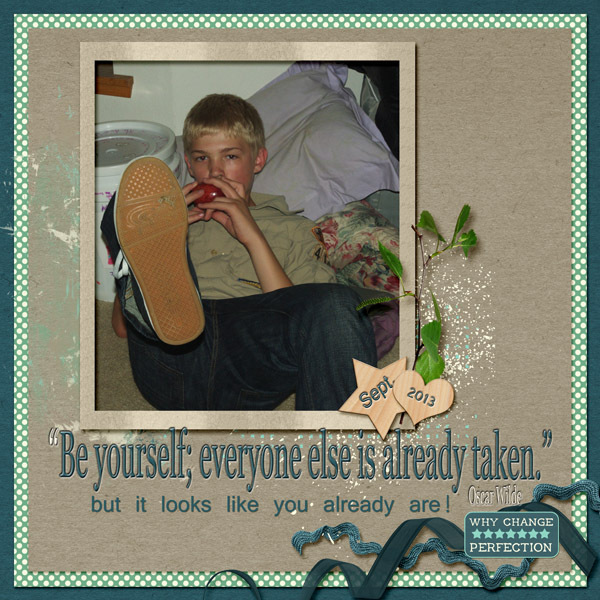 teamkobza blew up the circle and photo to really highlight the photo. What kind of spin can you put on this great template?? Remember to post your layout to the template thread and track the number of challenge layouts here so it can be counted towards your total! Today’s spotlight challenge is my favorite challenge, the Mix it Up Challenge! I know I usually spotlight this challenge every month but it is for good reason! No Mix it Up challenges are ever the same and I really love this months challenge! 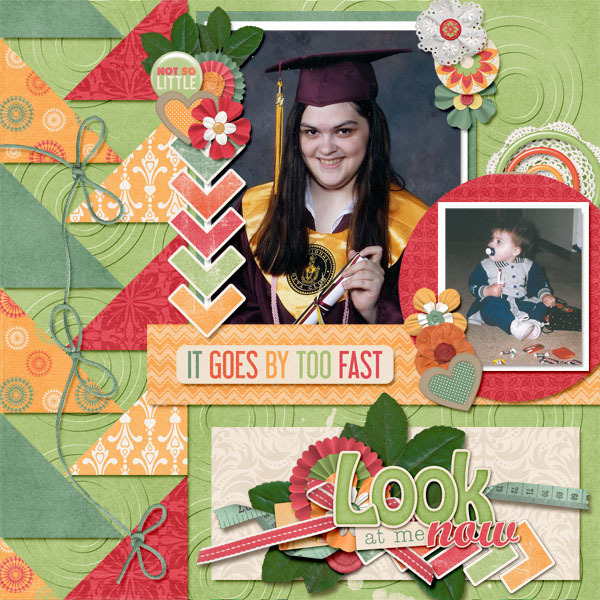 Rachel from Seatrout Scraps is the host and she has challenged us to make a layout using three different Gingerscraps Designers in a Layout! This can be a template from one, papers from another and the elements from a third or any combination! I normally only use a kit and a template so it was nice to throw in more from other kits! 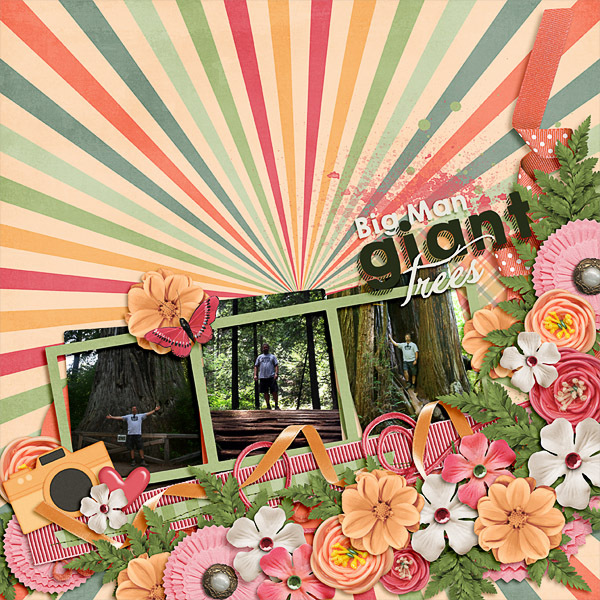 Take a look at some of the other members layouts for this awesome challenge! Each layout is linked to the gallery so please go and leave them some love!!! Completing this challenge and 9 other challenges will earn you this awesome collab! Be sure to track your LOs! Happy August! My how the time has flied! Summer is almost over and school is about to start here in the states (well not for me since my son only 2). It’s also a new month so that means new challenges and a brand new collab! Everyone has a different challenge based on their answers which makes this challenge pretty unique! Remember to record your completed challenge in the tracking thread! You definitely don’t want to miss out on the awesome collab! There’s 3 days left to get the challenges done to receive this awesome collab kit. On Friday, there will be a new kit and new challenges! This week’s spotlight is on my favorite challenge- the Mix it Up Challenge. I love this challenge because it’s never the same! 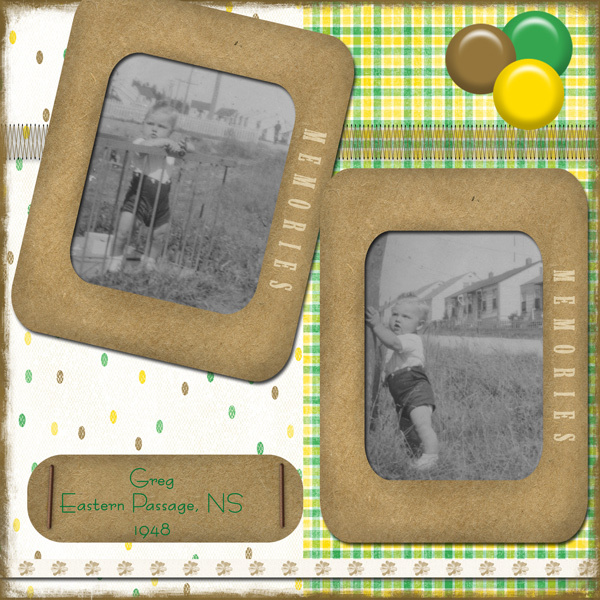 This month, Jennifer of Little Rad Trio challenged us to take one of our very first digital scrapbooking attempts and re-make it! For this challenge you have to post the original layout and the new product. This may be embarrassing since no one wants to show off the very first layouts when you were just getting the hang of everything but this really shows how much you have grown! And you have a few more days to go! Get those challenges done! And here are a few others! The redone layout is linked to the gallery so please leave the ladies some love! Look how much everyone has grown! Sometimes it’s fun to go through our old layouts just to see what techniques we have picked up. It’s nice to see how much you have progressed! Happy Tuesday! There are 16 days left to complete 10 challenges for an awesome collab kit! 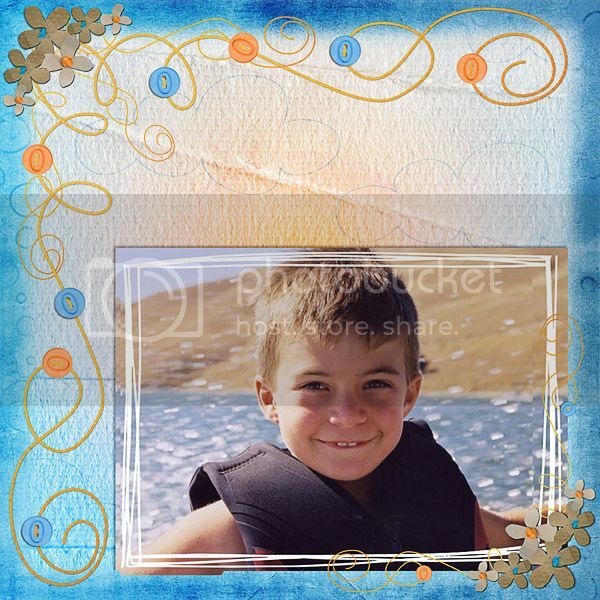 One challenge, the Scraplift Challenge is a great one to complete! 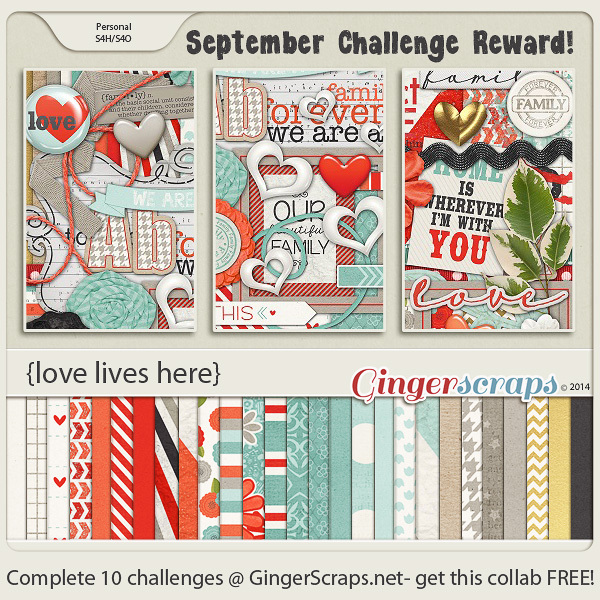 This challenge is hosted by Inspired Designs this month. 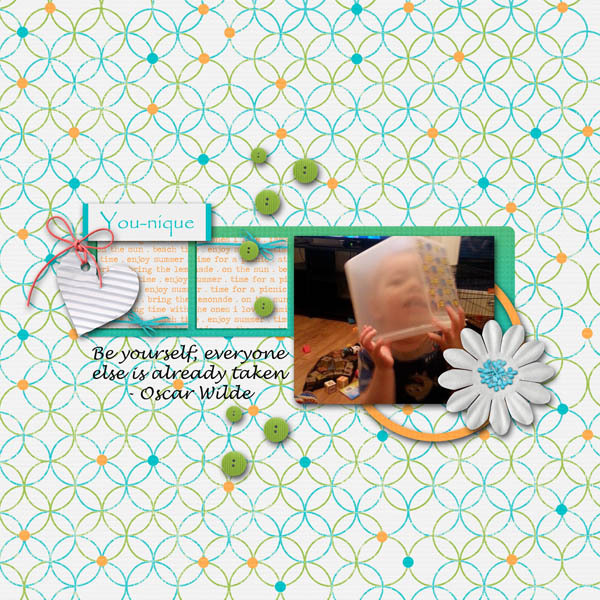 She provided this layout for you to put your own personal spin on! 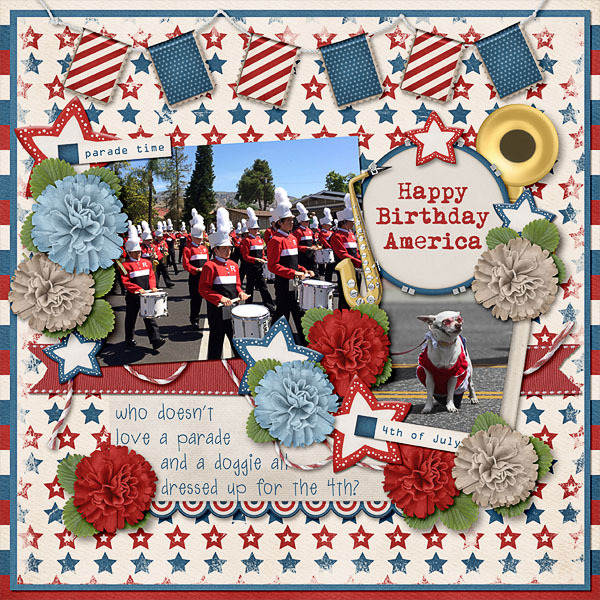 Nancy made this LO where she used two photos but added more of the paper layering under the photo instead of on the sides. 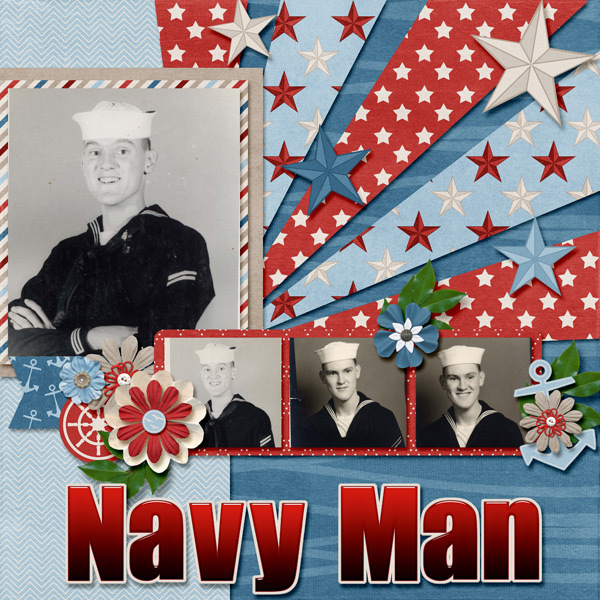 Lisa provided her take, there’s two photos, layering of the background paper but the framing is on the second photo and they are not the same shape. 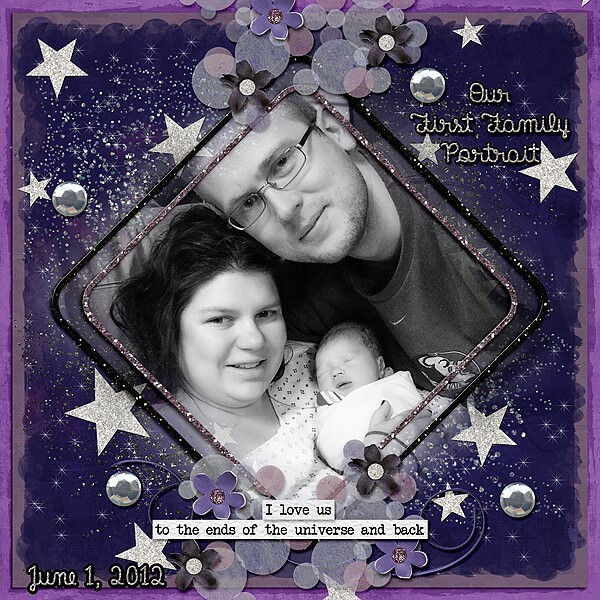 This layout by another Lisa has two photos but one is in black and white and one is in color. There’s layering but it goes down to the bottom of the page and that’s where she decided to journal. All these layouts were inspired by the first one but they are all so unique and different! Remember once you have completed and uploaded your LO to the gallery and to the challenge thread, make sure you record your entry in the July Tracking Thread. With 10 challenges done, you will receive this very lovely collab after the 5th of next month. It’s the first of the month which means a whole new month of challenges! And a brand new challenge reward! Completing 10 challenges gets you this awesome kit! But I have a challenge for you! I challenge you to work on a challenge you don’t normally do or you have never done before. I plan to take on the Scraplift Challenge. It’s not normally on the 10 I do per month. 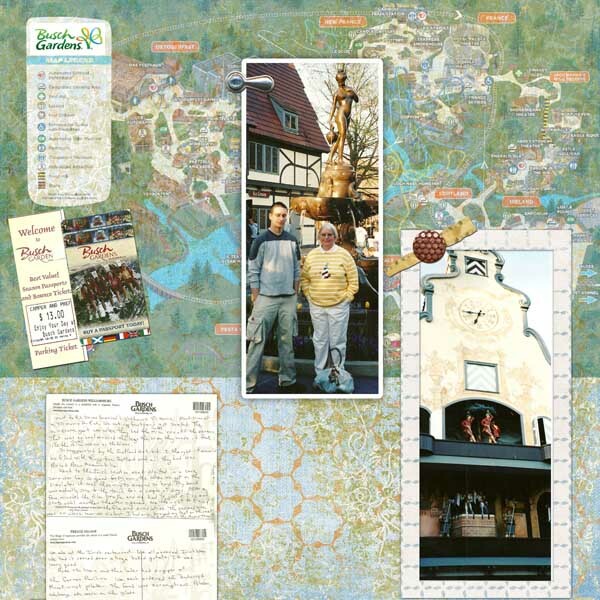 But since it is the first of the month, the Buffet Challenge is always full of great layouts! I love the buffet colors this month! Even though to most American’s the buffet screams patriotism, the great designers had great ideas for the color that went beyond Independence day. This is a great challenge to complete! Especially if you bought multiple kits like I did! I hope you have a great week and a great holiday weekend!